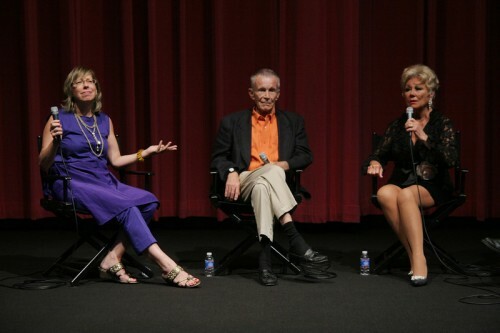 After a screening on Saturday August 4, 2012, of THE I DON’T CARE GIRL (Twentieth Century Fox, 1953), we enjoyed a fun panel discussion of the film. 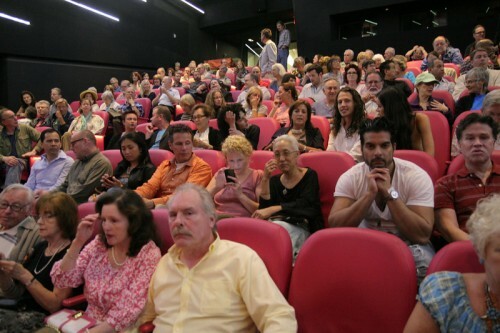 It all happened at the Billy Wilder Theater of the Hammer Museum under the auspices of UCLA Film & Television Archives, which had a rare print of the out-of-circulation movie. 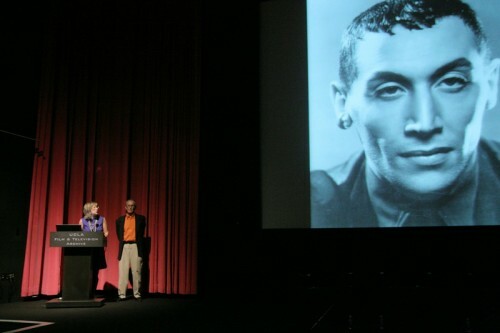 Mitzi was in top form and showed her love for her choreographer, Jack Cole, and for her many fellow gypsies in attendance. 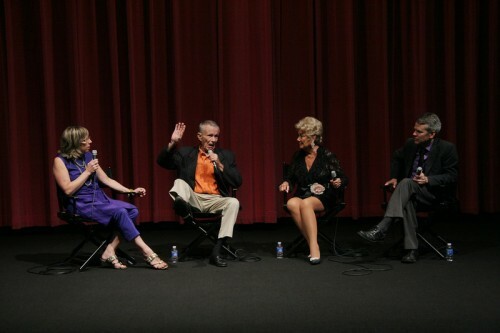 Bob Graham, who starred in the film playing a huge major role, was in the audience. Shocker! 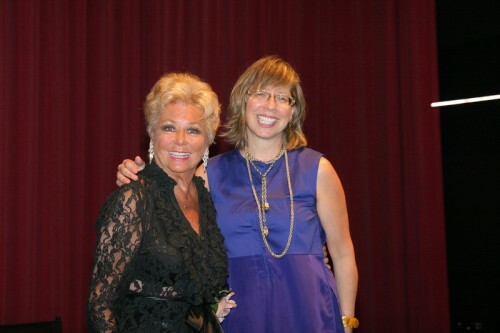 In the photos: the great singer-actress-dancer Mitzi Gaynor, arts·meme‘s Debra Levine, Founder of the Academy of Dance on Film Larry Billman, and the Archive’s Director of Public Programs Shannon Kelley. © 2019 arts•meme — All Rights Reserved.